The worldwide licence covers miniatures games, scenery and collectable miniatures sets based on series and characters from the weekly comic, which is the home of Judge Dredd, Strontium Dog, Nemesis the Warlock, and a whole galaxy of characters from over 40 years. Game development and designs are in the very early stages but initial plans are for a game based on the world of Strontium Dog, the popular post-apocalyptic series where mutated humans such as Johnny Alpha are forced to become bounty hunters. 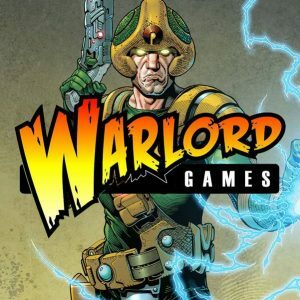 Paul Sawyer, Head of Product Design at Warlord Games, says “Many of us at Warlord are ardent 2000 AD fans so the chance to take on a licence to work with the stories we grew up with and continue to avidly enjoy was something of a dream come true. We have many ideas to bring the wonderful stories from our favourite strips – old and new – to the tabletop and work has begun in earnest to do justice (pun intended) to Judge Dredd, Strontium Dog, Flesh, Sláine, Kingdom and many of their sister strips. Although development of our plans and designs are in very early stages we hope the first game to see the light of day will be set in the world of Strontium Dog, Johnny Alpha – we’ll divulge more details in coming weeks and months though. If a mere Earthlet might dare to quote The Mighty Tharg: this is going to be scrotnig!”.